Ravi Bhalla, Hoboken Mayor Union Dry Dock update, composting expansion & more! Union Dry Dock update, composting expansion & more! As you know, protecting the waterfront Union Dry Dock property from becoming a ferry refueling station continues to be a major priority. It is my strong preference for this to be turned into a public park, a plan that has sadly been met with opposition from the State, NJ Transit, and NY Waterways. In case you missed it, last week my administration released a study confirming a better alternative for New York Waterway’s refueling station is Lackawanna Terminal in South Hoboken where there is already a transit hub, a conclusion reached by NJ Transit themselves back in 2009. To me, this compromise makes perfect sense and supports our ferry system and mass transit infrastructure without sacrificing the well-being of Hoboken residents. I strongly urge Governor Murphy and the State to consider this proposal, which would prevent the refueling station from being placed in a residential neighborhood and denying Hoboken the opportunity to have a continuous public waterfront with a park. If you have a moment, check out coverage of our recent efforts to protect Union Dry Dock by the Jersey Journal, as well as a comprehensive overview by News 12. In addition to Union Dry Dock, I’m pleased to share with you some additional initiatives we’re working on in City Hall. We are expanding composting in Hoboken, a great way to help our local environment! Partnering with the Community Compost Company, Hoboken now offers FREE weekly curbside pickup of food scraps for local businesses and schools, as well as a FREE compost drop off site for Hoboken residents. Residents can now drop off food scraps and other compostable materials at the Public Works Garage (256 Observer Highway) on Saturdays from 9 am – 12 pm and Mondays from 8 am – 12 pm. Residents also have the option to sign up with the Community Composting Group to have food scraps picked up from your door for a nominal fee. Feel free to click here for additional info on Hoboken’s website. Office of Constituent Services – Now Open! Our new office of constituent services is now officially open to the public! 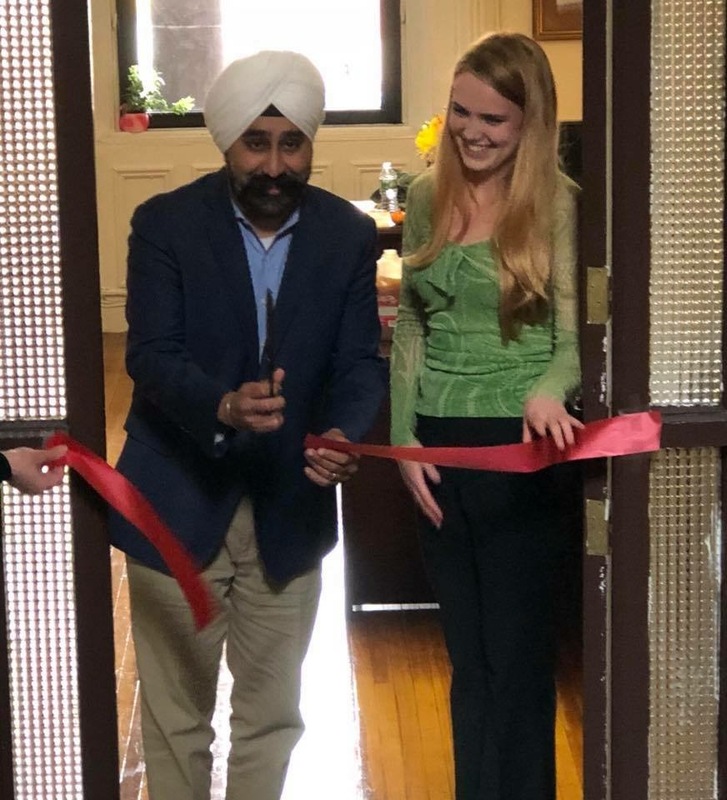 This new office, headed by Hoboken native Caroline Caulfield, is already making substantial improvements to constituent services in City Hall. Check out hMag’s coverage of our new office and an interview with Caroline by clicking here. If you need assistance, feel free to stop by the new office, located on the first floor of City Hall or contact Caroline at 201-420-2000 ext 1311 or at ccaulfield@hobokennj.gov. 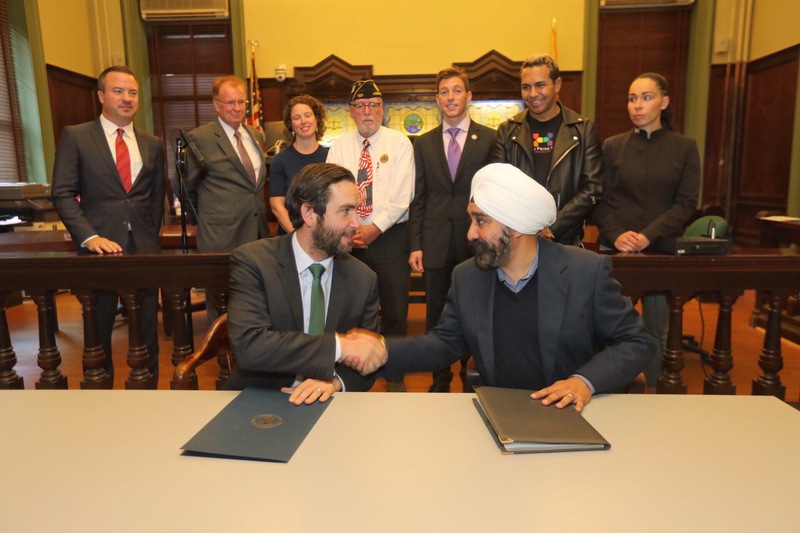 Last month, I joined Jersey City Mayor Steve Fulop in signing an executive order expanding opportunities for business owned by veterans, disabled residents and the LGBTQ population. We are the first two municipalities in New Jersey to sign this executive order, which sends the message that our region is an open and welcoming place to all with equal economic opportunities for everyone, regardless of identity. For more information on the new measure, click here. Finally, I hope you and your family have a safe and happy Thanksgiving!